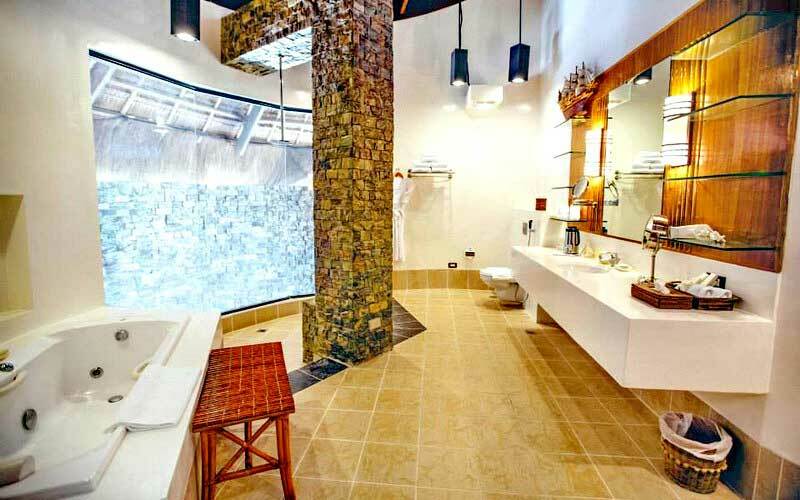 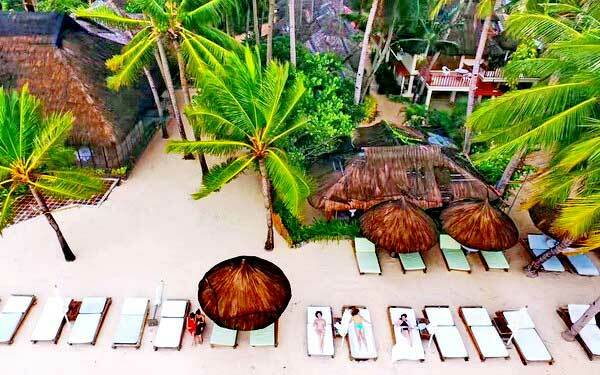 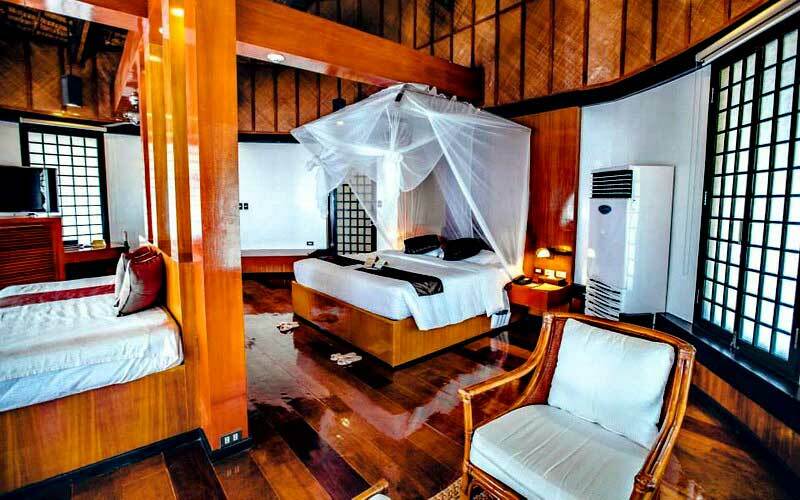 Fridays Boracay Resort, one of Boracay’s first luxury resorts, has an outstanding reputation for class. 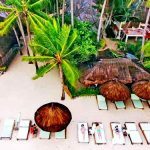 The resort is located on one of the finest pieces of White Beach real estate in a quiet and more relaxing location at the end of Boat Station 1. 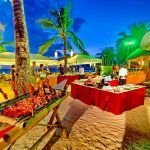 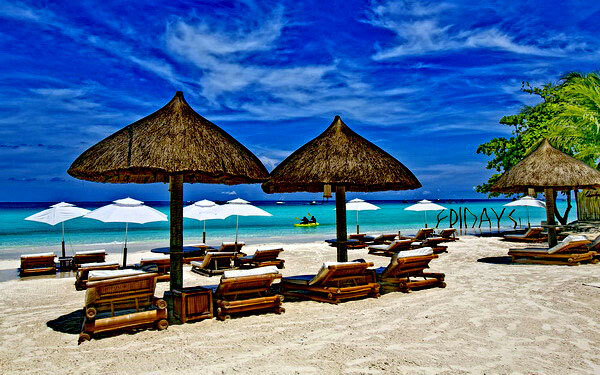 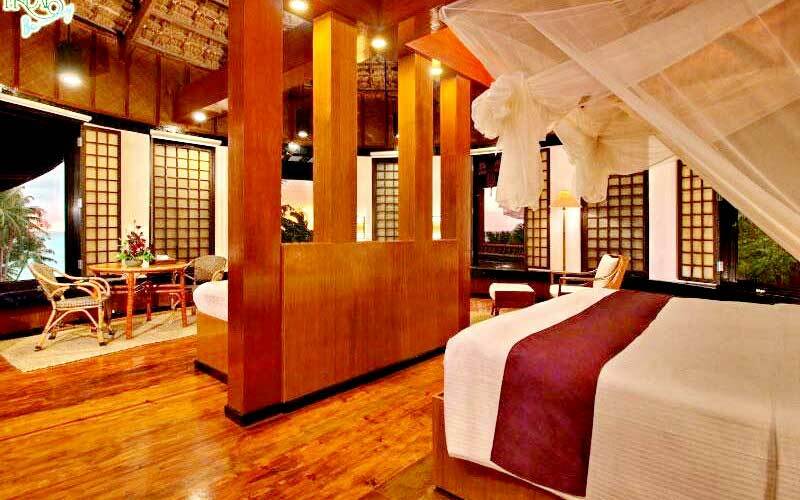 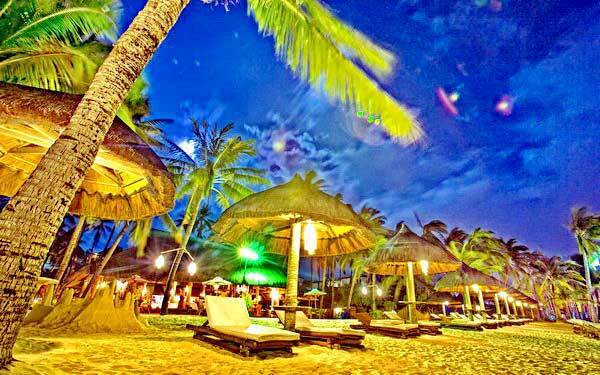 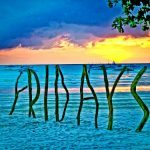 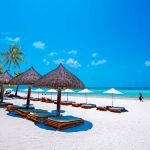 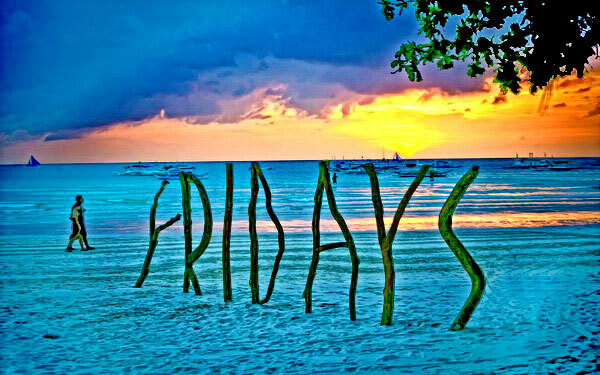 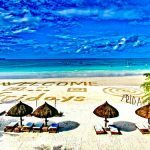 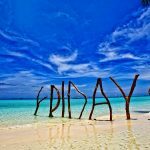 Fridays Boracay places a high emphasis on service and guest comfort. 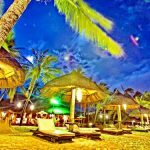 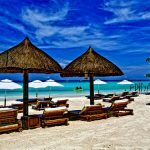 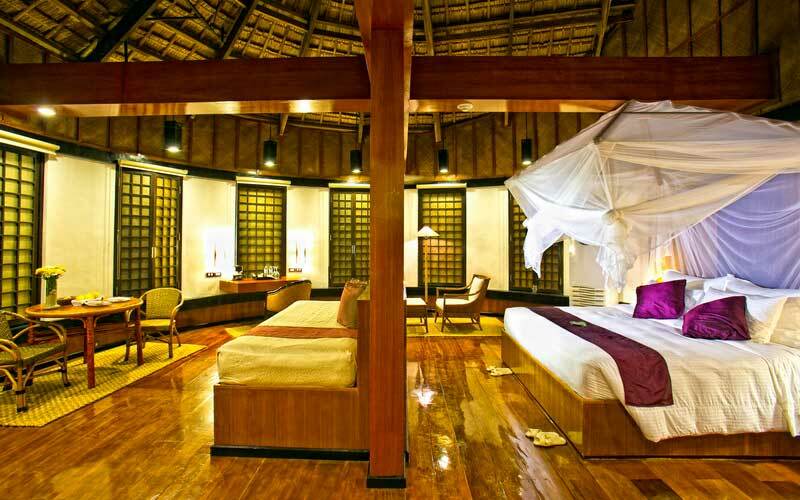 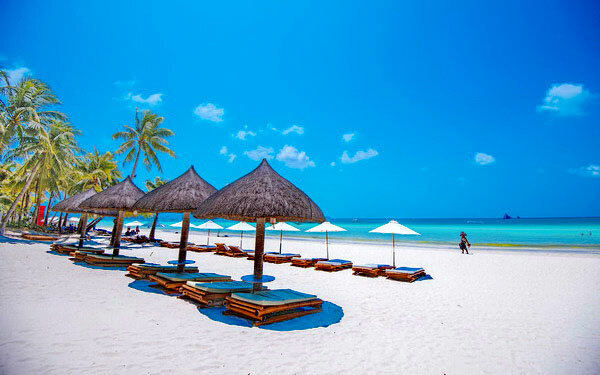 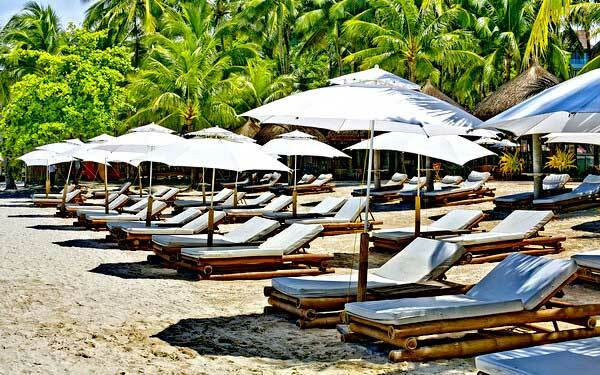 The resort is of beautiful wooden design with thatched roof, giving the place a real native beach resort feeling. 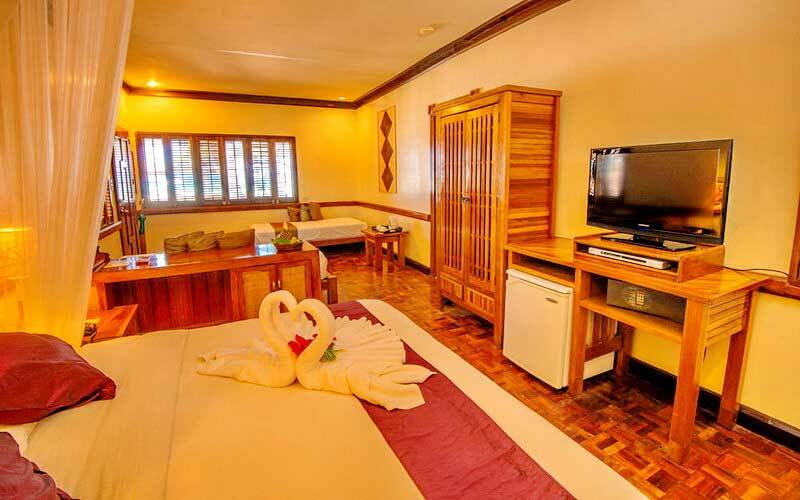 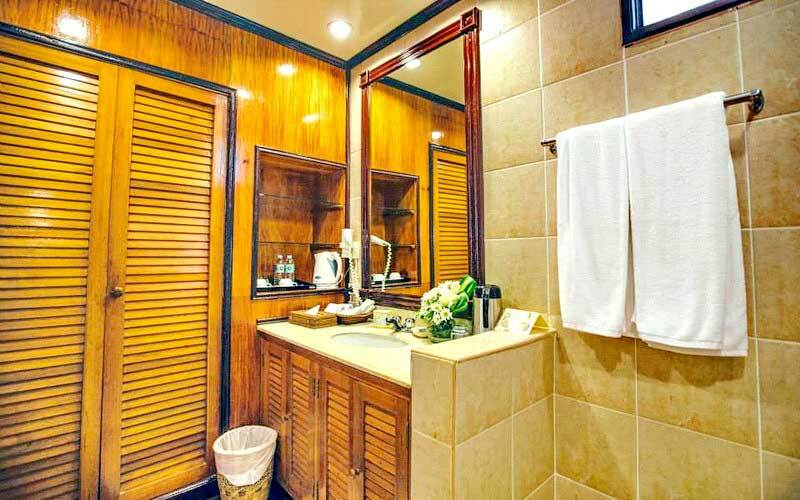 Fridays Boracay rooms are all designed for every guest needs, equipped with cable TV, mini-bar, DVD players, hot and cold shower and safety deposit box. 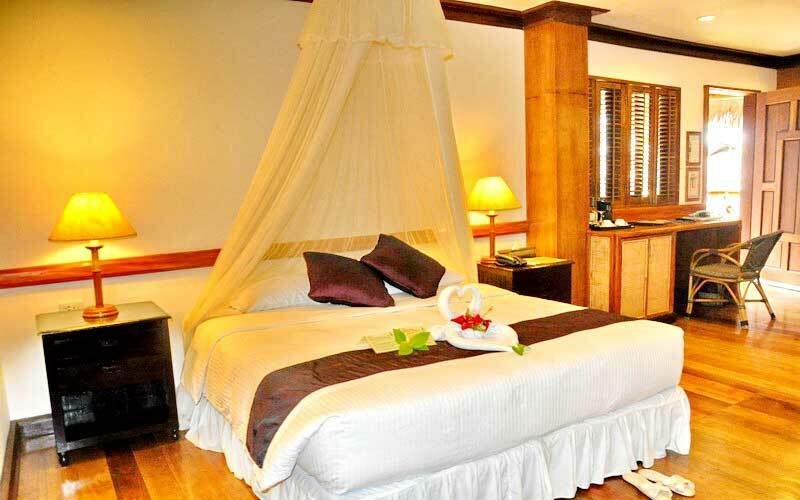 The Deluxe room is good for 2 guests, maximum of 2 adults and 1 child or 1 adult and 2 children. 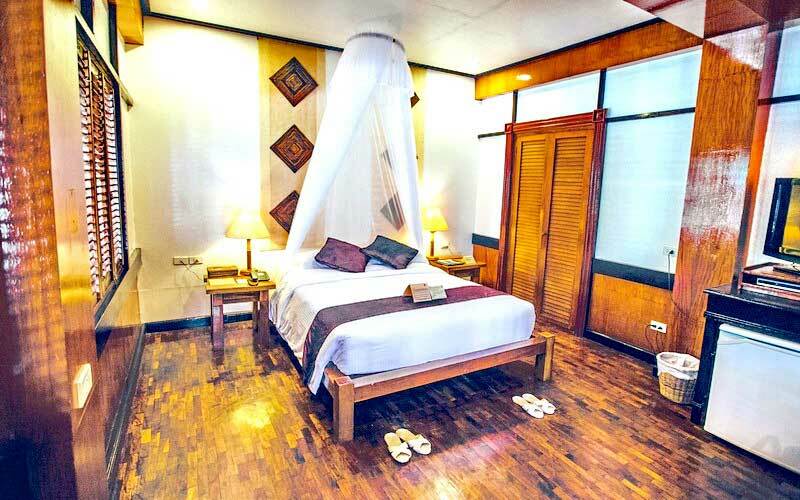 They have bamboo inspired rooms and accents that are made from natural and organic materials like wood that gives you a tropical feel. 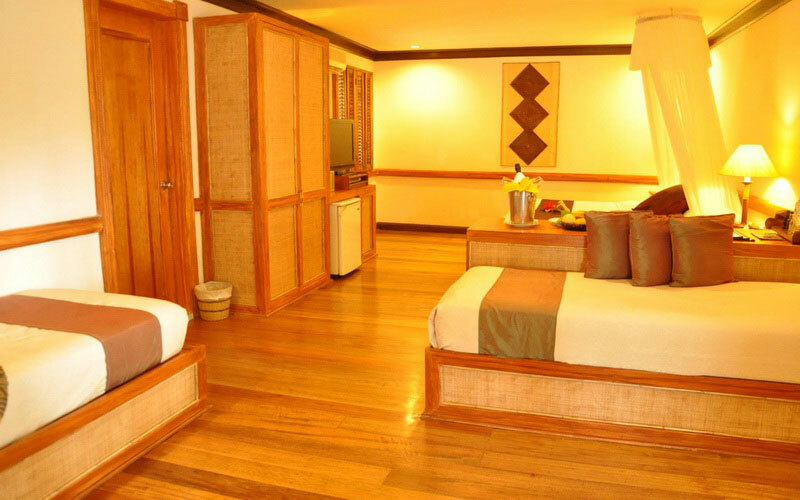 These rooms are located near the swimming pool or courtyard. 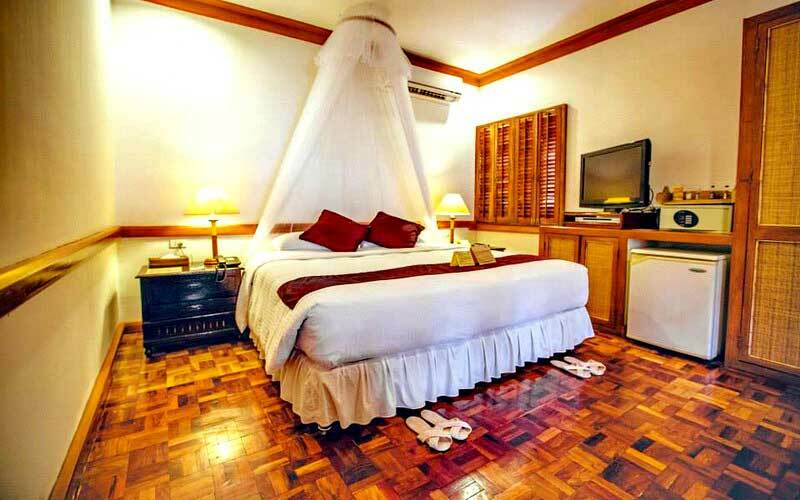 This room features one queen bed and one single bed, air conditioning unit, hot wates shower, 27" cable TV, DVD Player, safe deposit box, complimentary slippers, complimentary tea or coffee minibar. 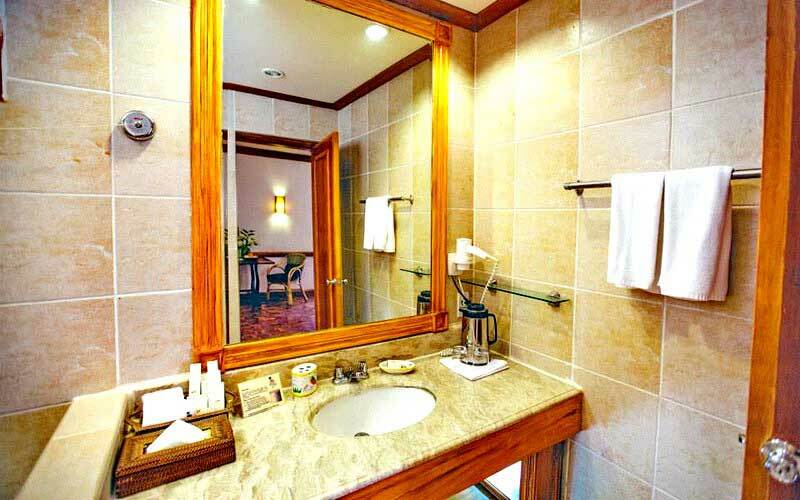 The Premier Suite is the largest room in the resort. 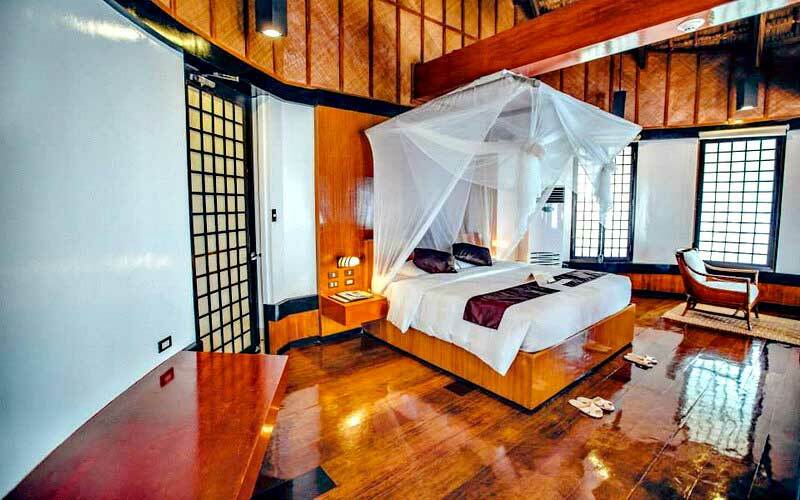 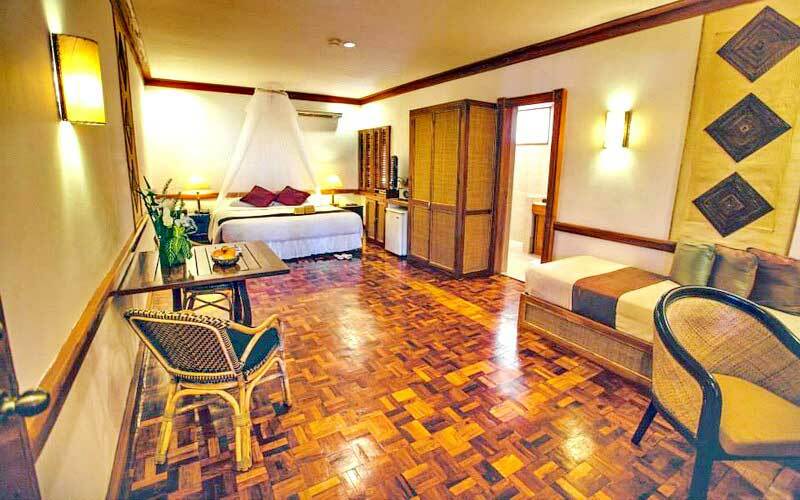 The rooms are bamboo inspired with earth tones and Filipino-inspired furniture and accents that are made from natural and organic materials like wood and the rooms have a partial sea view. 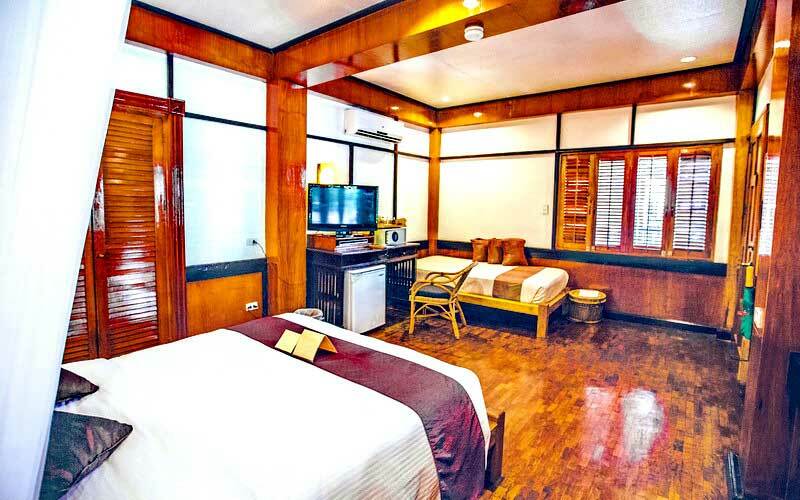 It has a 20 square meter balcony, 18 square meter bathroom and equipped with an air conditioning, hot water shower, rain shower faucet, huge bathtub, 40" LCD Cable TV, hi-definition multi media players, DVD player, Free WiFi (2 Mbps Fiber Optic), safe deposit box, 1 king bed (orthopaedic mattress), 1 single bed (orthopaedic mattress), semi-private maid service, native slippers, complimentary bottled water, complimentary, espresso machines, coffee/herbal teas and a minibar. 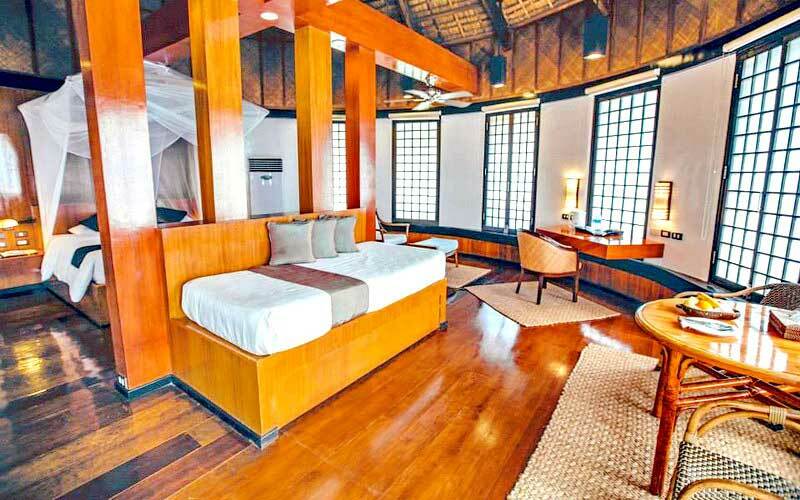 These rooms are mostly located on the top level of the resort which require guests to climb up. 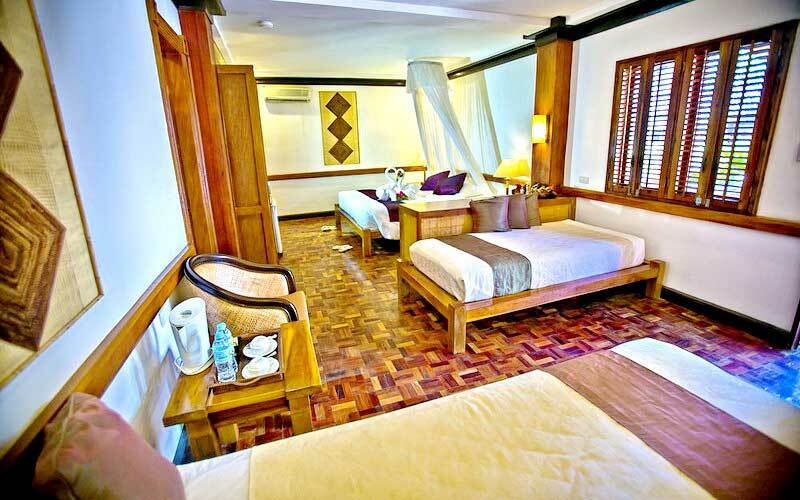 Fridays Boracay was built in 1982, and was most recently renovated in 2011. 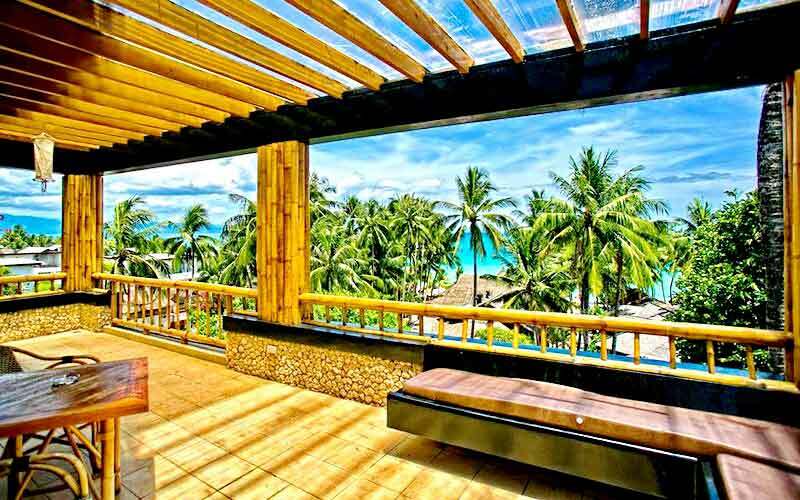 The property is multi-level; some sit on a hill with stairs accessible to the beach and other areas. 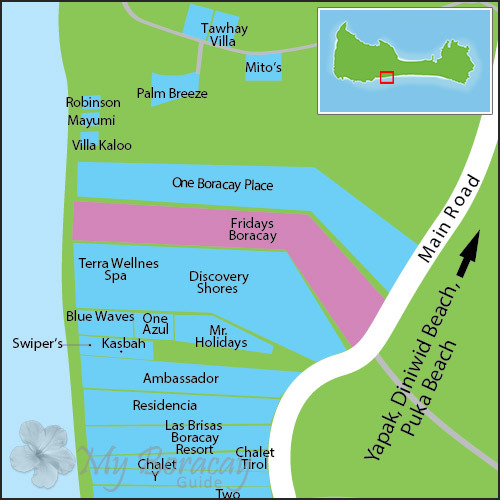 Fridays Boracay is in Station 1 and is directly beachfront. 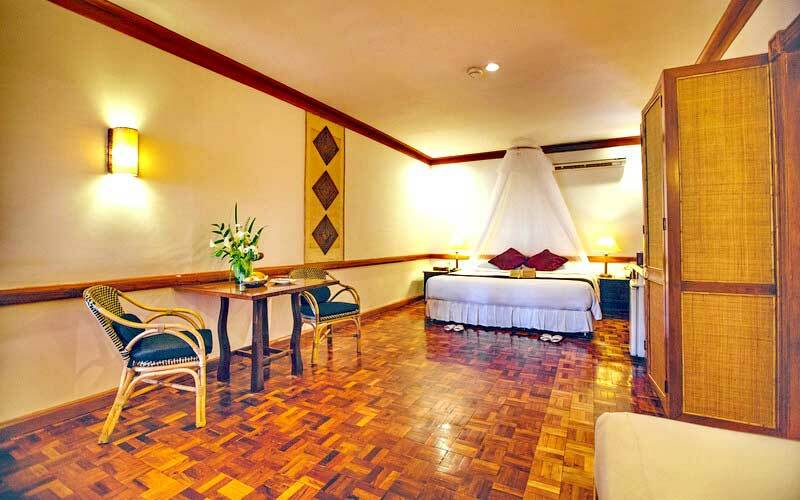 However, some of the rooms near the main road extrance of the property are only steps away. 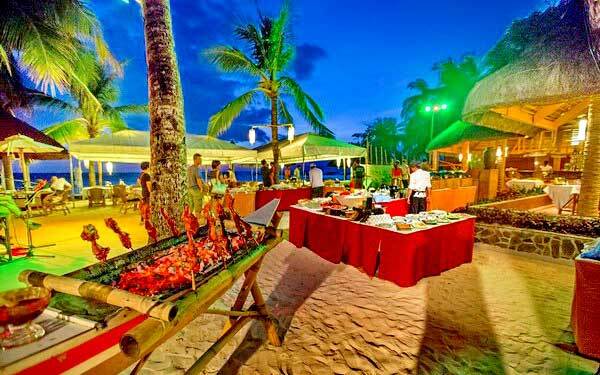 An in-house restaurant and bar are conveniently located by the beach. 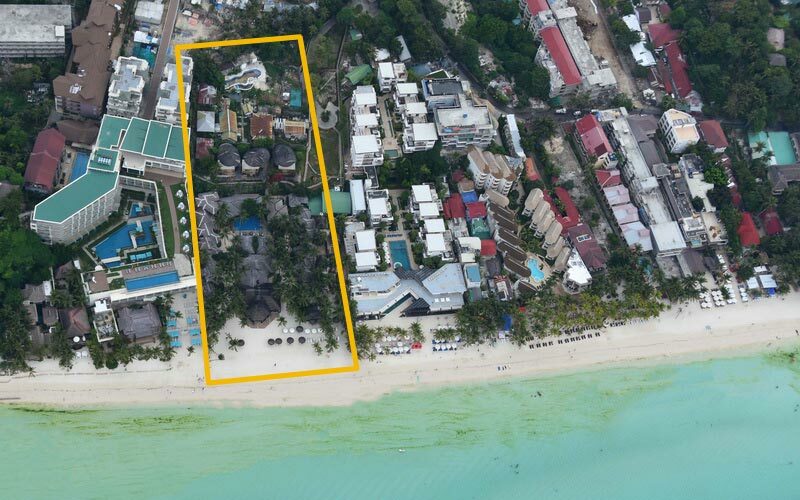 The property also has a private access from the main road. 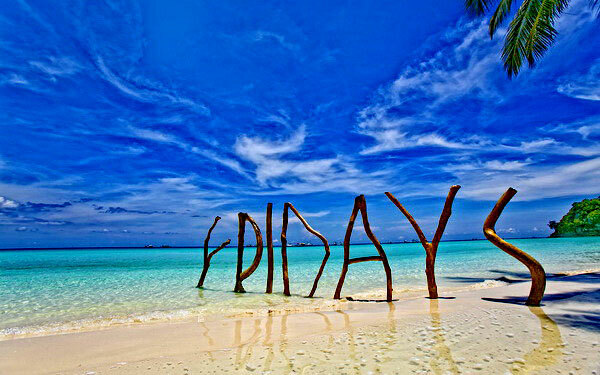 D'Mall is 5 minutes away. 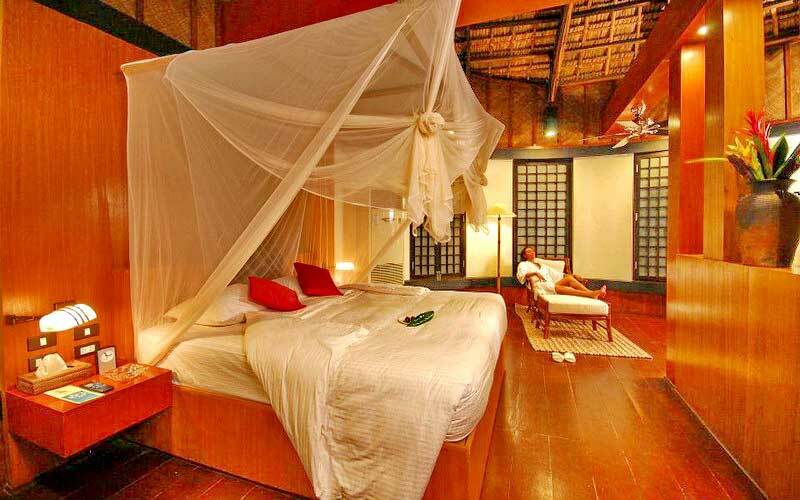 Children 5 years old and below are free of charge sharing existing bedding. 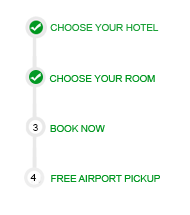 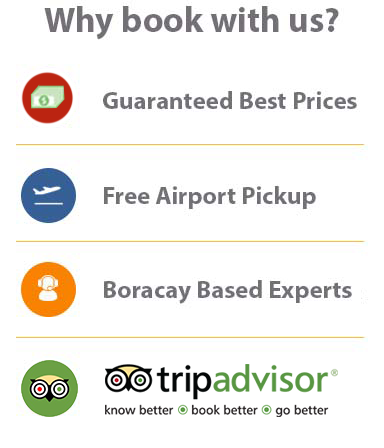 Rates are inclusive of complimentary Caticlan Airport Transfer. 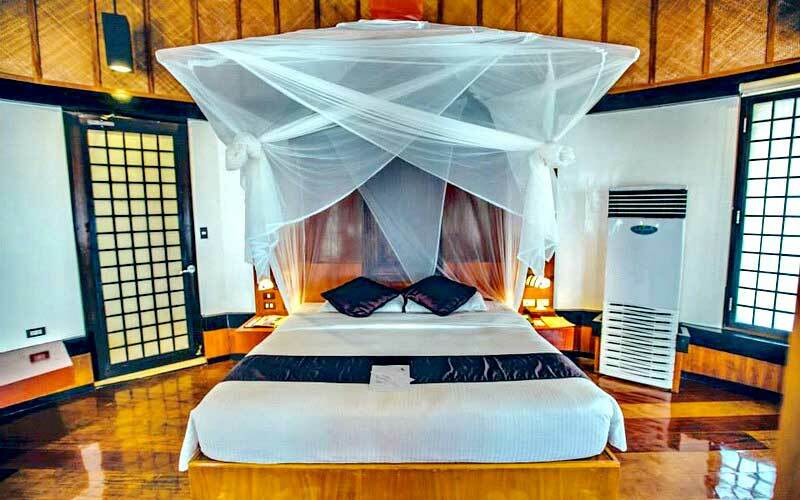 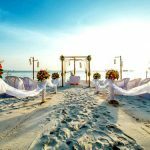 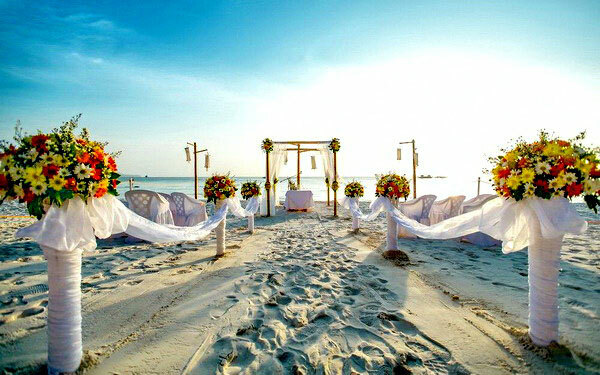 This does not include terminal and environmental fees levied by the government and will be settled by the guests. 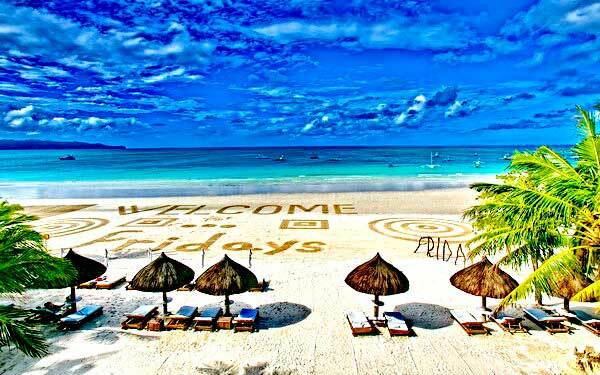 Fridays Boracay has free Wi-Fi internet service in the hotel lobby and in the rooms. There are safety deposit boxes in each room except for the villas. 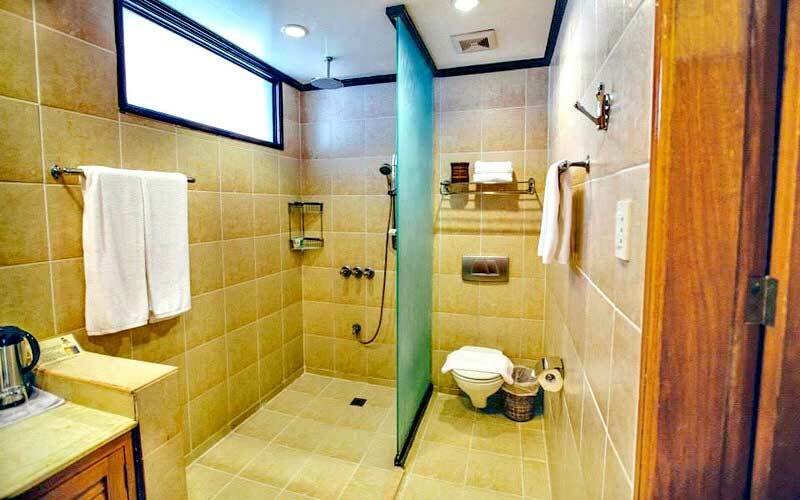 Hair dryers are available in each room.